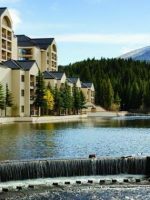 The Grand Timber Lodge in Breckenridge offers families 157 guestrooms and suites with king and queen beds, full kitchens, flat-screen TVs, DVD players, free Wi-Fi, balconies and fireplaces. 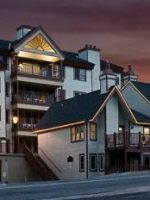 Accommodations range from studios to condominiums, the largest of which can sleep up to 10 guests. 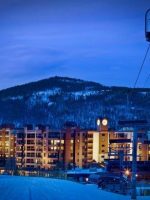 Onsite fun can be had on the slopes of the Breckenridge Ski Resort, with ski-in/out access, or in the pools, at the playground or via the arcade. There are two indoor/outdoor pools that are heated, indoor and outdoor hot tubs, a separate pool for kids and a water play area for little ones. 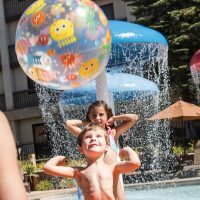 The children’s playground is located near the larger pool and hot tub area and offers a jungle gym and slides, plus sprinklers during the summer months. The arcade is open daily at 8 a.m. and offers video games and air hockey. Additionally, the Family Fun Center offers guests bumper pool, poker tables, checker and chess tables, Wii games and arts and crafts. For family meals, visit the Lodgepole Bar and Grill, which serves a variety of American cuisine for lunch and dinner. Families can also cook their own meals on the grills that are provided by the lodge or in their rooms, with the convenience of a full kitchen. 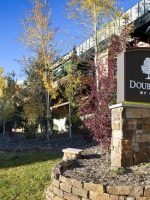 Additional amenities and perks at this property include laundry facilities, a fitness center, DVD rentals and a complimentary shuttle service to local attractions. We have stayed at the Grand Timber twice and will be staying there again for a week in November. It is a beautiful lodge with everything you need to have a perfect time. That is why we keep going back. Have been staying at Grand Timber since 2002. They keep the property amenities current, front desk is always willing to help and we had a great time at the new personal theatres! 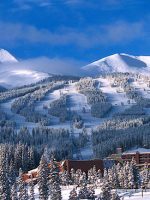 Ski out involves a tiny walk, butnis overall a great location. Love the shuttle, although the walk to town is easy too.